Let me sincerely take this opportunity to thank the Chairman and the Sister in Charge for honoring me to officiate over this important 30 years Jubilee Celebrations of thanksgiving. A day like this provides an opportunity for stakeholders to reflect on the past achievements and challenges therein with a view to charting a way forward. 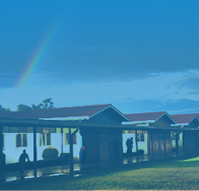 It provides a room for the community to assist and evaluate the progress made by the Management of the Home. 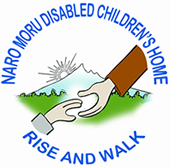 Naro Moru Disabled Children’s Home has been in existence for the last 30 years. It is a Home which is well recognized by the Department of Children’s services and which complies with the rules and regulations of running homes. As you know, this year the Government has shut down over 40 children’s homes out of 700 such facilities in the last one and half year. The Institutions were closed for failing to comply with the laid down regulations. I wish to thank Members of the Management of Naro Moru Disabled Children’s Home for their hard work and maintaining high standards of this Institution. The same gratitude goes to the Sister in charge, her staff and the Church who have worked throughout the years in giving effective services to the needy children. Lastly, I wish to thank the Naro Moru Community for providing a conducive environment and support to this Home. We have come a long way and achieved a lot in the last 30 years.